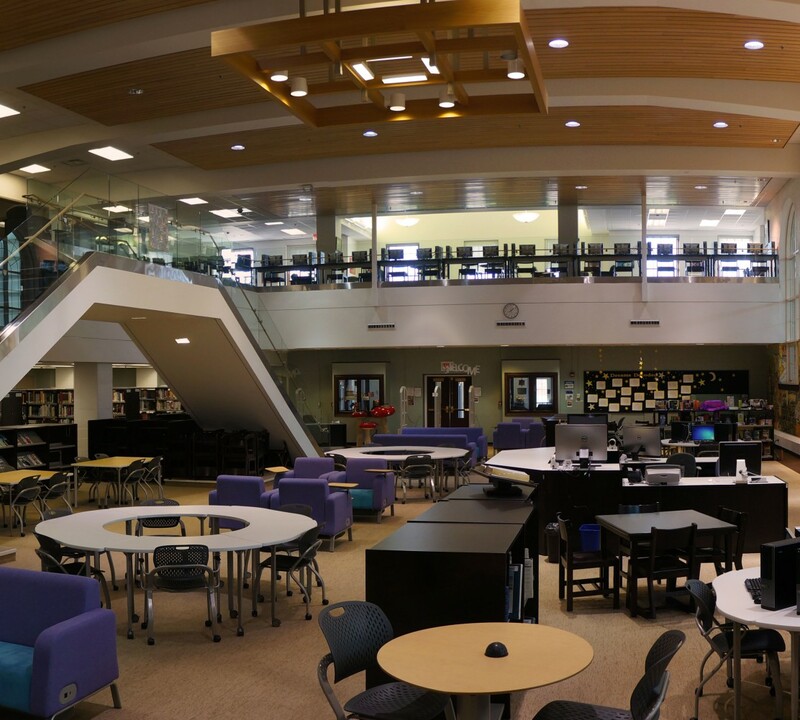 Libraries lead the way to digital citizenship. They should be the first places where most advanced technologies are implemented. Today, libraries are not only about lending books. They are creative spaces, not only for individuals, but also teams. They are economic incubators and learning hubs. Most of all, the libraries are the entry points to the digital world. They are the way to embrace technology and avoid digital exclusion. An interesting concept from a Chinese design company Toout. 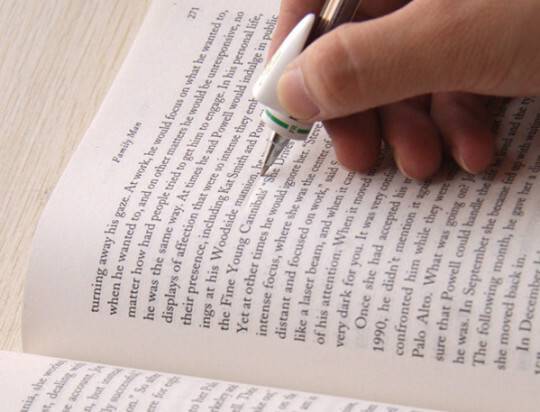 This little tiny device is in the first place a regular bookmark. But on top of that it also has features that could make using the library much easier. First of all, the device would be a perfect companion when navigating through the library, by giving turn-by-turn directions to the book the patron wants. The device could also keep track of all borrowed books, as well as remind the user of the return dates. Finding a book easily without knowing the Dewey Decimal Classification system? Sounds like a good idea of where the library card could evolve. librARi is a concept of an image based augmented reality application, created by Pradeep Siddappa. A lot has been said about using augmented reality in libraries, but there are few examples that would let us actually see it. The video explaining how librARi works (AR in the name stands for “augmented reality”) is very decent, but it’s a benefit. 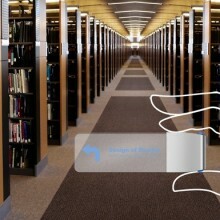 It clearly highlights the best use of AR in libraries – locating the books on the shelves and navigating to them. The app would point you to the new arrivals. It would also be able to find and point to similar books. Simple, but useful, and very probable. To get the book from a library, you can either go and find it, or you can let it find you. The future belongs to unmanned flying machines, and just like Amazon drones can deliver the goods to customers, libraries could deliver the books to patrons. Library drone is not even the close future. It’s already happening. Australian start-up Flirtey has teamed up with a book rental service Zookal to create – the first in the world – textbook delivery system. The system is using hexacopters, drones with six rotors, to deliver ordered textbooks. Now, the smart thing is that the drone can find you by the location of your smartphone, so there is no need to give a fixed address. Just imagine. You are sitting in a reading room of the New York Public Library, in the middle of writing an essay, and want to get another book. Stay where you are, and use the app to order a book. The drone will come, just like this one. Pull out the book from the box, and put the one or ones you don’t need any longer. The drone will place them where they belong. I would personally add an option to deliver latte from a library cafeteria. Anyone who tried ebooks would never give up the convenience of a digital interface and all other helpful tools. Searching the content of the book (including smart search), looking for a reference on the web, getting an instant translation, writing notes, or collecting book passages – all this can be done on the same device that we use to read an ebook. We can obviously borrow an ebook instead of a print book, but here is a better idea – enhance the print book with a digital interface. 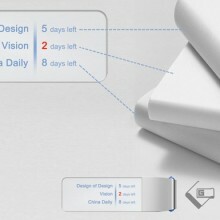 FingerLink is a project currently developed by Fujitsu that will let you use digital tools to work with a printed book. It’s a stand you can put on a library desk. It includes two elements: a camera to read the info from the real world, and the projector to display digital info in the real world. Simply, place the book on a table under the stand, and you’ll see extra options, available for the book. It’s because everything what FingerLink “sees” can be available and editable in a digital form. Now let’s push the imagination a bit further. Nimble is a concept of an advanced library augmented reality tool. Designed by a London-based interactive designer and Google engineer Sures Kumar, Nimble does not only offer digital enhancement of a print book, but also incorporates the idea featured earlier in the post – the turn-by-turn library guide. All these features can be accessed using the smart library card. An all-in-one solution to let patrons use the digital books to work with whichever content they want. Obviously, introducing a system like FingerLink will exceed library’s yearly budget several times. There is a cheaper alternative. A library could offer patrons a variety of small utensils they could borrow to use in the reading room. In the picture above you see Ivy Guide, a concept device, that you can put on your pen to use for translating words found in the print book. It’s just an example showing that such concepts are being created. The only thing is to find the most useful task for the library use. For me, it could be a simple pen that would let patrons make digital highlights. One condition – it should be done in a simplest possible way. Here is the idea. The real-to-digital highlighter would be connected to a computer. When you highlight something – move along the text in a print book – it will immediately appear in the notepad app on a computer. All your highlights would be collected in a single text document. When you are finished, simply send this note to your email address. The note will self-destruct the moment you close it. 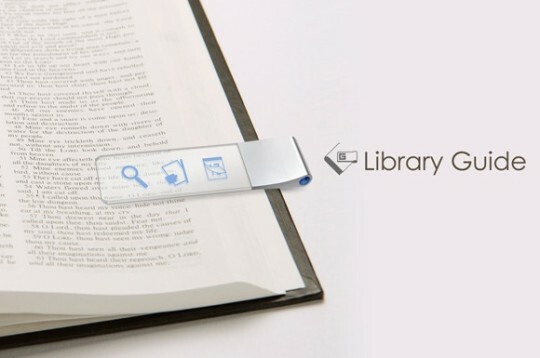 Such library utensils would be useful for less tech-savvy library patrons or those who don’t use advanced apps (for instance the ones with OCR – optical character recognition) on their phones. Sometimes, to engage local communities, or reach people in remote locations, the library would want to physically leave the library building. The Ideas Box is a revolutionary concept developed by Librarians Without Borders, with the aim to reach people in refugee camps and impoverished countries, but could be also used any time the idea of a mobile library is considered. The most thrilling thing about this modern library center is that it can be assembled in less than 20 minutes. The Idea Box is a portable toolkit – standardized, easy to transport and set up. The kit consists of six boxes (including library and internet access), fits on two palettes, and creates a space of 1,000 square meters. The library box includes 250 paper books, 50 e-readers with thousands of ebooks, and a variety of educational apps. Bookless libraries, where you can’t find a single print book, launch regularly. They obviously won’t kill traditional libraries, just like ebooks don’t kill print books. The digital-only route has its disadvantages. To me, every digital-only library should offer their patrons the ability to instantly make a print version of the book. Let’s put aside the question who is going to pay for this. The most important question is that sometimes the book has to be real to make use of it. Espresso Book Machine (EBM) is a real product. Manufactured by Xerox, it’s sold by On Demand Books. It can make a paperback book while you wait, printing up to 150 pages per minute. 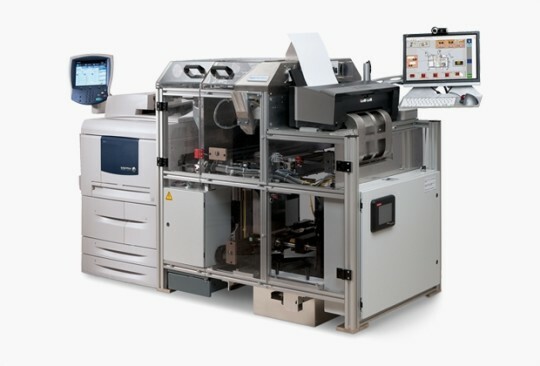 The machine is connected to an online catalog of over seven million in-copyright and public domain books, but institutions using EBM can also print custom titles. This sounds like an super simple idea, but it doesn’t exist yet, and I’m not sure whether it will. 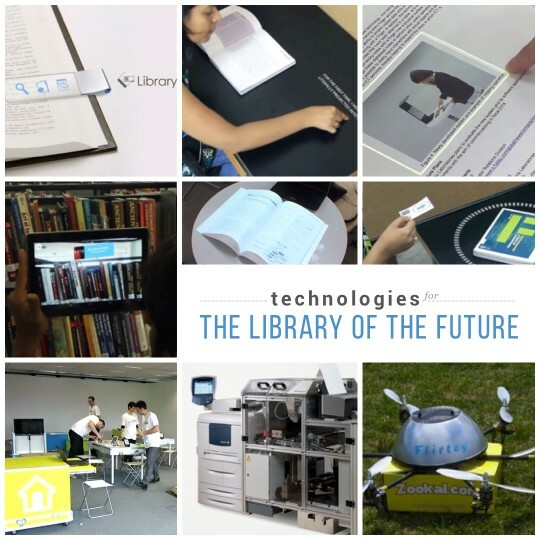 All the concepts presented above were about special devices or solutions designed for special use in a library. Nowadays, if you want to borrow an ebook from a library you need to have a special app from a digital content provider, like OverDrive. But not all the libraries cooperate with OverDrive – and it’s where problems begin. The more special something is, the fewer people will use it. The thing is that to borrow a print book from a library, you don’t need anything special besides the library card. Imagine that many of the features described above would be accessible from a simple app – a browser on your mobile phone. You’d need it to browse the library, borrow a book, get notifications when it’s due, and finally, be able to read it. Maybe there would be an option to take a virtual walk through the library. 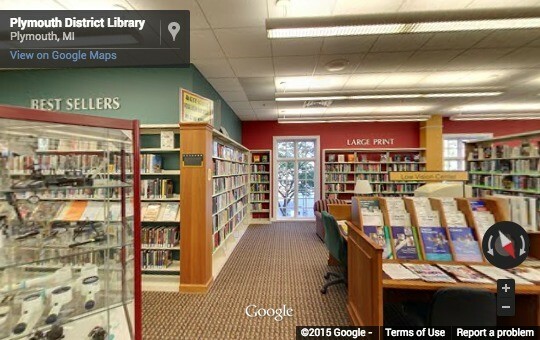 We’re close, just look at the libraries using Google Street View tours. Maybe there would be an option to make notes and highlights. Maybe there would be an option to recognize the printed text and turn it to editable notes. Yes, all these features are available, but they are delivered by special apps, and these special apps are not meant to be used in libraries. The idea (utopian?) is that everybody could use the library, and no extra knowledge and software would be needed for that. Google is leading the way to unify online experience. No extra sign ups. All you need is to be signed in to your Gmail account on Google Chrome.